Why do we dream, and why is dreaming important? We all dream, whether or not we recall them, but are our dreams important or are they a bizarre side effect of a bit of mental and emotional housekeeping, a sorting out of clutter, best left forgotten? There’s some truth to the housekeeping idea, but best left forgotten? Certainly not! Around five times a night during an eight hour sleep, your brain and mind process all your conscious and unconscious experiences of the last 1-2 days, comparing them to all your past experiences and projecting ahead to future possibilities. Dreams are the sensations you have while all this processing is taking place. It’s a little like updating your software, brushing up your mindset, dusting off your thoughts, beliefs, emotions, memories, deleting some and overwriting others. Ideally this process means that you wake up refreshed and ready to deal with the challenges a new day brings. But, that’s not always how you feel when you wake up, is it? Sometimes your dreaming mind gets stuck, unable to sort out conflicts or find good solutions to life issues. When you can remember your dreams and when you know the techniques for understanding them, you have the opportunity to look into your unique, individual mindset to see your unconscious beliefs, feelings, attitudes, and inner conflicts, and how these are influencing the way you respond to life. This deep insight gives you the power to make positive changes. 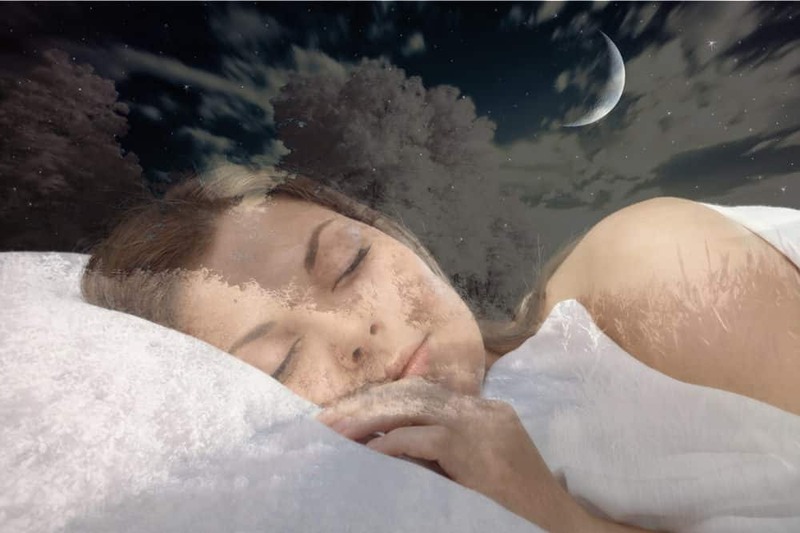 If you have a recurring dream, it’s most likely that it doesn’t end happily, or is unresolved. Recurring dreams come up when you’re stuck with a recurring life issue, and your dreaming mind is trying to find a positive solution. A recurring dream of being lost in a city might reflect a recurring feeling of being lost in life, unable to find direction. A recurring dream of being trapped might reflect a recurring feeling – or fear – of being trapped in life, perhaps in a dead-end job, a difficult relationship, or negative thinking. In an ideal world, our dreaming mind would process those feelings of being directionless or trapped and come up with a solution, but we humans are complicated beings, and often our own worst enemy, fearful of making decisions about direction, or fearful of finding freedom. When you learn how to understand your dreams you can discover the precise beliefs and attitudes that are keeping you lost, or trapped (in the case of these two dreams). Then, suitably enlightened, you can prepare to make changes. At first you may need to enlist help from a professional to make positive changes, but with practise you’ll be able to do this yourself. How can nightmares be helpful? Nightmares are dreams that are so scary or upsetting that they wake you up. When you feel fear in a dream, your physical body produces fear hormones that shoot into your bloodstream causing all the physiological signs of fear. This is why, when you wake from a scary dream, you really feel that something scary has happened or will soon happen. The same happens for stressful dreams: your body produces avalanches of stress hormones, waking you up in a state of heightened stress and anxiety. Nightmares are an important outlet for your fear and stress, but they can leave you frightened to go to sleep again, or to sleep the next night, or the next. Yet, once you know how to use nightmares to look into your mindset, you can discover what really lies behind your fear and stress. You have the opportunity to resolve conflicts, heal issues, and overcome fear and stress. When you work with nightmares in this way, they stop, and your dreams will tend to become more positive. Are positive dreams as important as nightmares? If you want to see powerful positive changes in your life, focus first on any recurring dreams or nightmares that you have experienced recently. Working with these helps you to break through limiting beliefs, fears, and stress, and to resolve and heal recurring issues. Once that key work is done, you can turn your attention to the rest of your dreams. 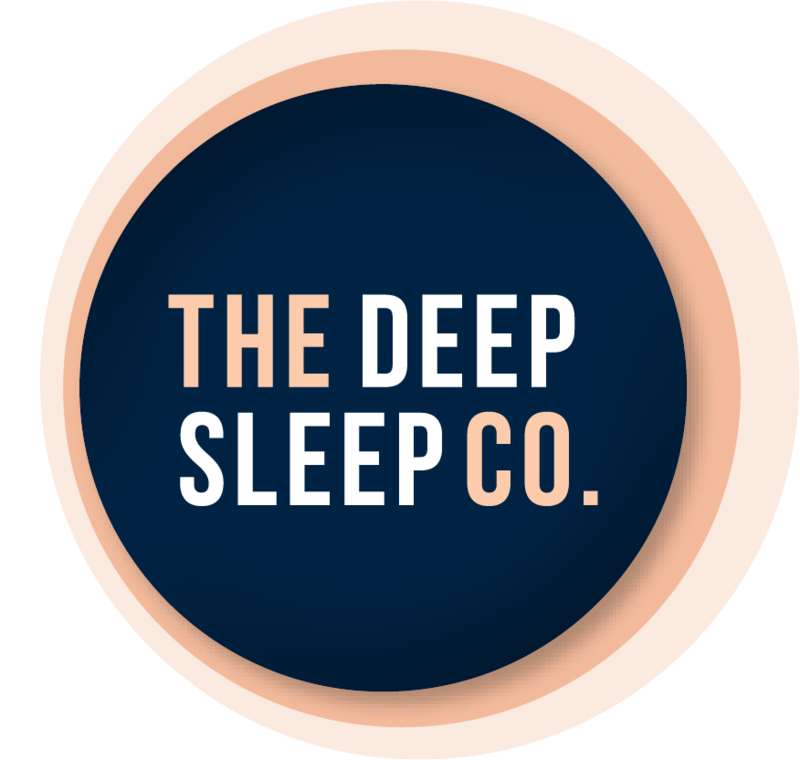 They may not be as insistent and nagging as recurring dreams and nightmares, but they hold great value if you’re looking for deep insight into yourself and your life. Beware, though, not to take your dreams at face value. Dreams are never literal. You might have a wonderfully positive, happy, uplifting dream about finding your soul mate, but don’t go looking for him or her out there in the world. That dream face that imprinted itself so firmly on your mind is not the face of a real person. If you turn down everyone because they don’t match your dream soul mate, then you could end up missing a wonderful opportunity. This kind of dream is usually about meeting a wonderful aspect of your deep self, an inner energy that you would benefit from reconnecting with. 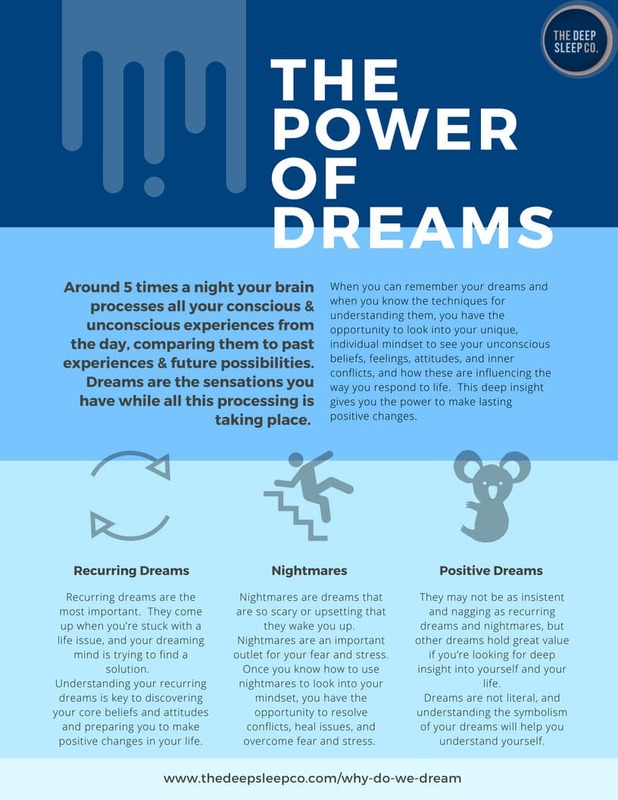 So, even with the most positive of dreams, make sure that you approach them with the right techniques for understanding dreams, or engage the help of a professional. How important is it to remember your dreams? By now, you should know why it’s important to remember your dreams if you want to live your life in the best possible way. Dreams are important, even if you don’t recall them, because they keep us alive, literally. The processes are not completely understood by science, but dreaming contributes to our physical, physiological, mental, and emotional health and wellbeing. But, the added insight that working with your dreams confers takes your mental and emotional – and spiritual – health and wellbeing to a whole new level. I just had a scary dream and I remember every bit of it. Then I started verifying google about dreams and I found your article. Very interesting. Let me sleep for a while before I get some more information on the subject. Thanks. So glad you found our article. Nightmares are really scary but sometimes they can have messages too. The most important dreams are reoccurring ones, so watch out for those. Interesting post. Thanks for writing. I really enjoyed reading it. I struggle to remember my dreams though. Thanks Joe. I hope the article helped you a bit. Thanks for all the interesting info about dreams Jane. Thanks for the informative article. I used to have a recurring dream as a kid. Now I am going to have to analyse what it meant!! Thank you for reading Randi, good luck with your analysis. I’d love to learn/understand about a reoccurring dream I’ve been having for quite some time. Thanks for reading Terrie, Jane is so good at explaining things. 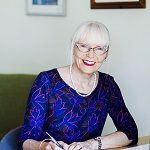 Check out her website for more info about dream interpretation. Thanks for reading Tom, actually dreams are a pretty amazing phenomenon! Well said! Great article. I love trying to remember my dreams but they alwys fad throughout the day. Yes that happens. They say to write them down before you forget them but sometimes mornings are too busy to stop and write down dreams. Maybe you could start jotting just a few quick things down each morning.